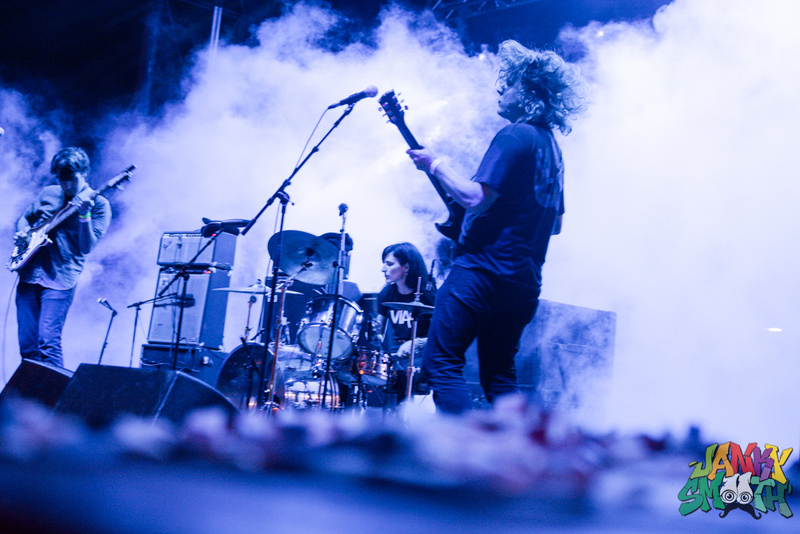 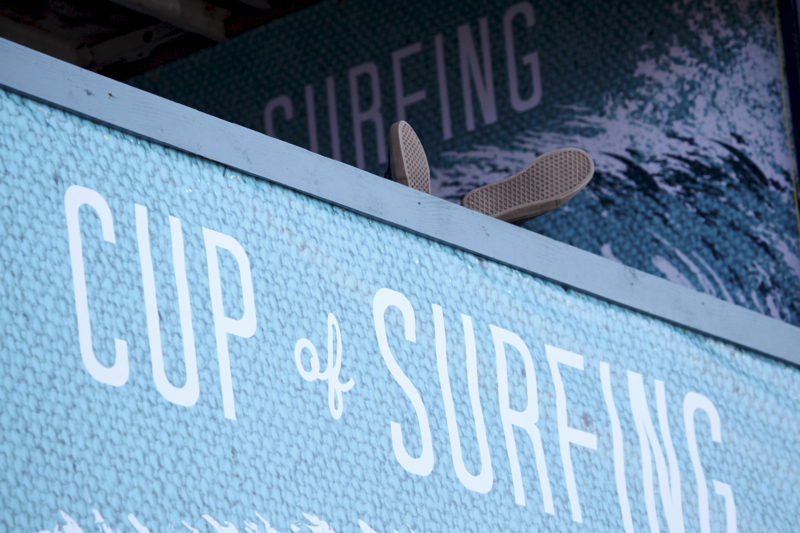 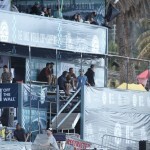 Vans World Cup of Surfing 2014: If in doubt, don’t go out! 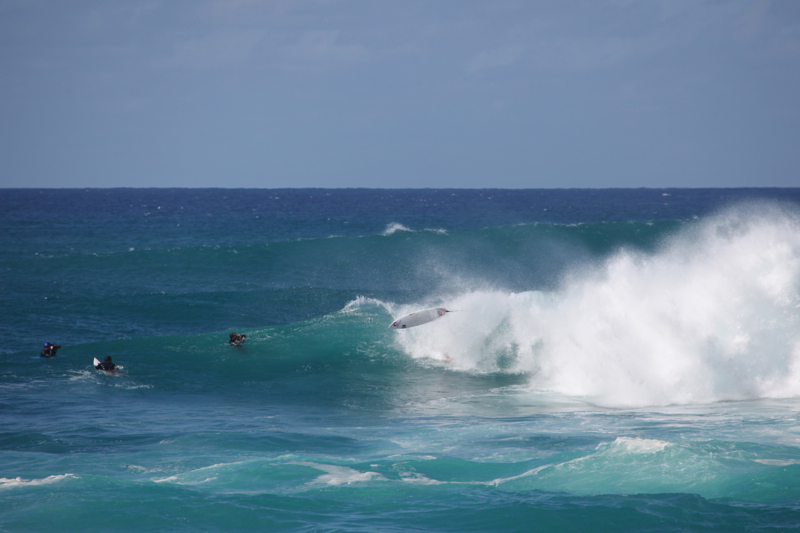 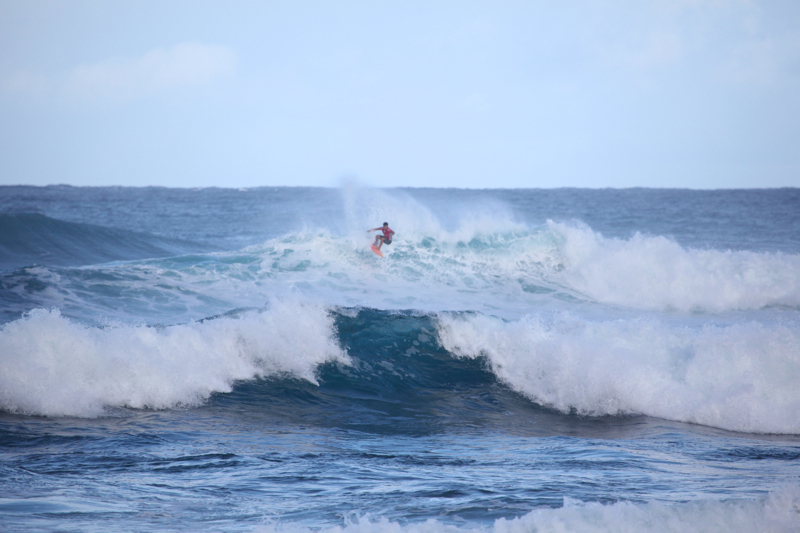 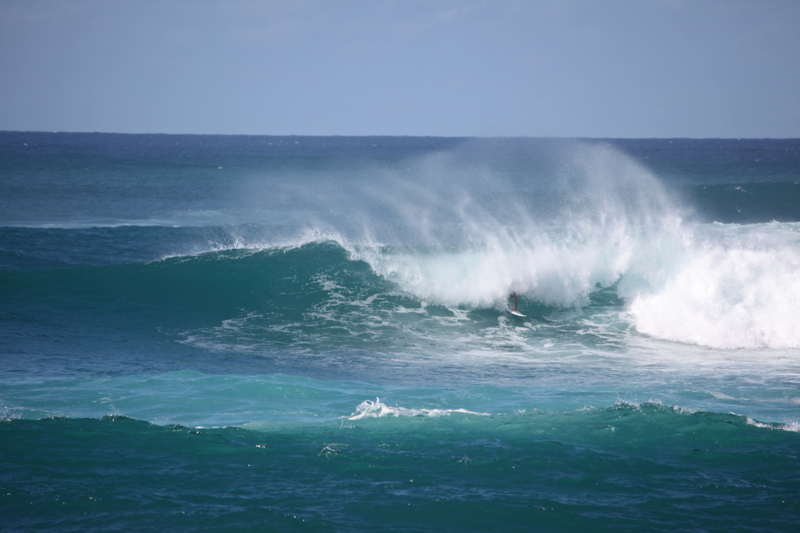 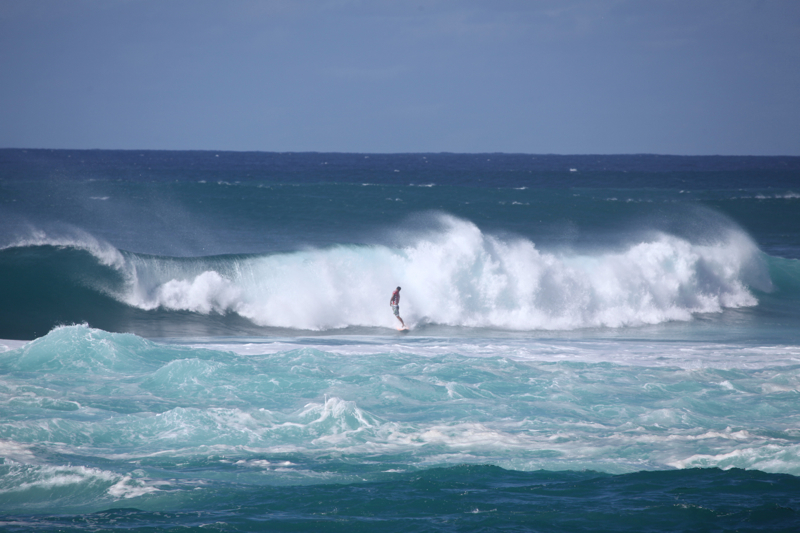 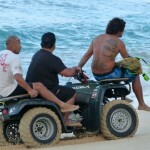 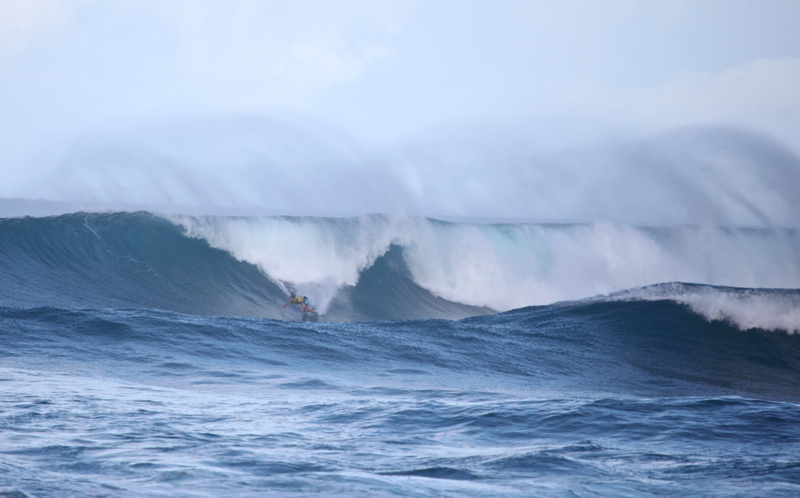 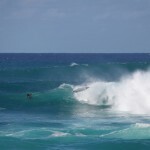 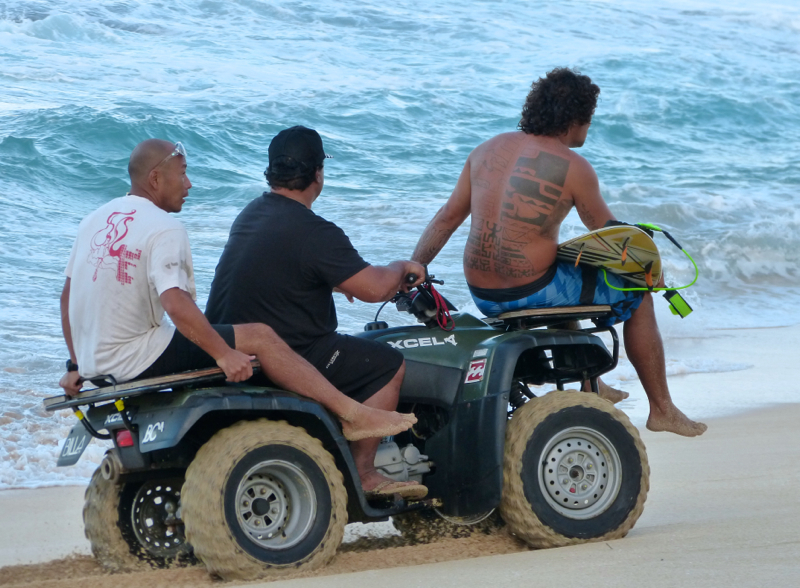 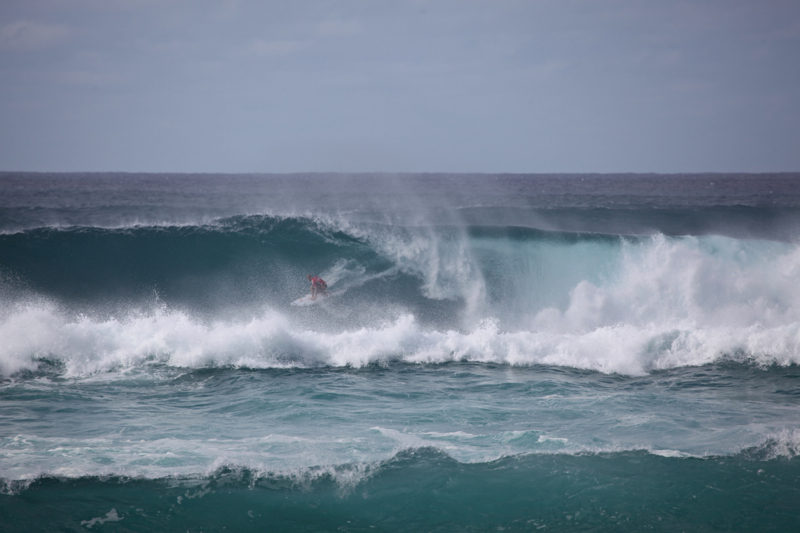 There’s nothing like the Van’s Triple Crown on Hawaii’s North Shore to kick off the winter holidays. 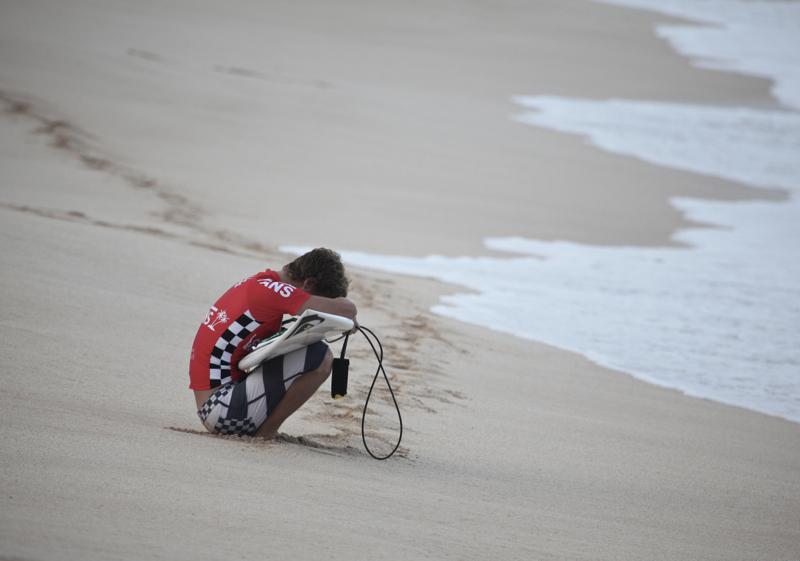 The air is clean and the sun is shining. 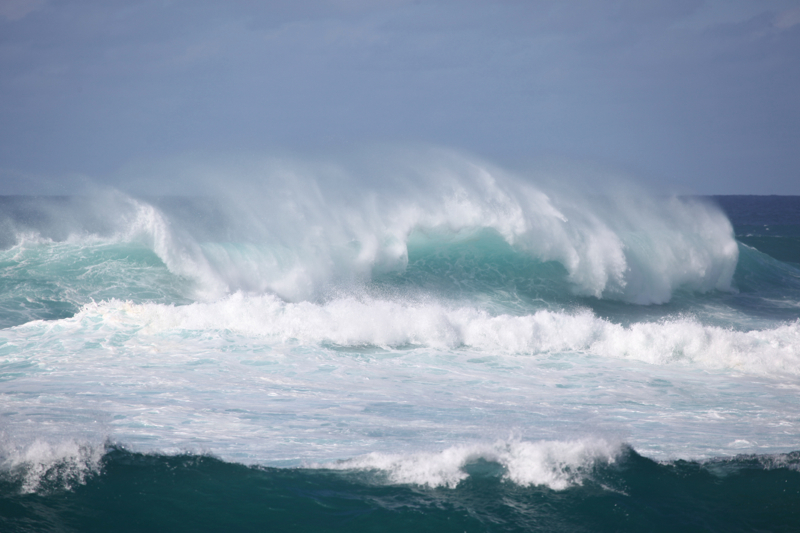 The rain makes an appearance for ten minutes every few hours only to cool you off and then the sun comes shinning through the magical clouds with a rainbow to follow. 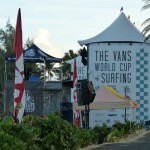 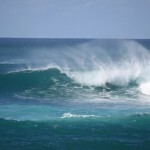 The Vans Triple Crown bleachers are up at Sunset Beach and there’s an energy that moves through the entire North Shore. 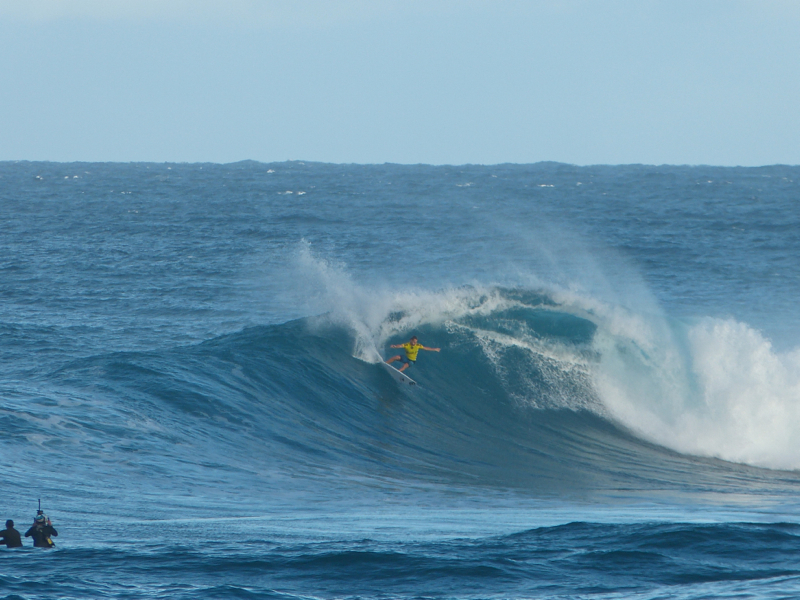 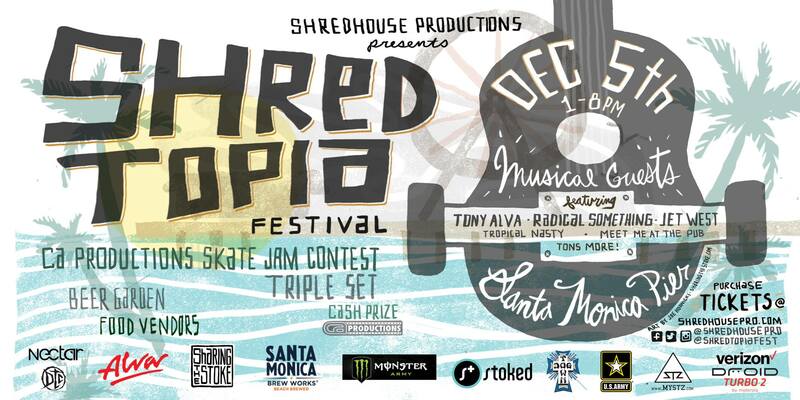 There’s a two week holding period and the four best surf days is when they call the contest to be ON. 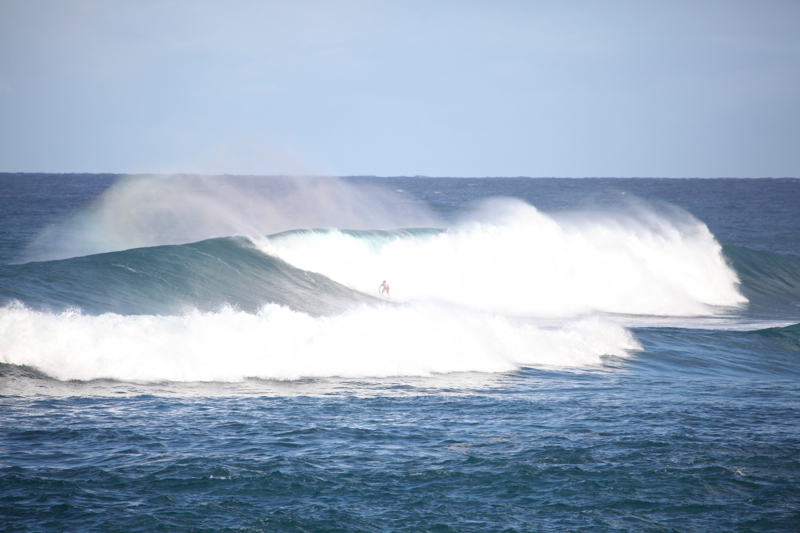 This year week one had only one ON day while the rest of the week was OFF to due mediocre surf. 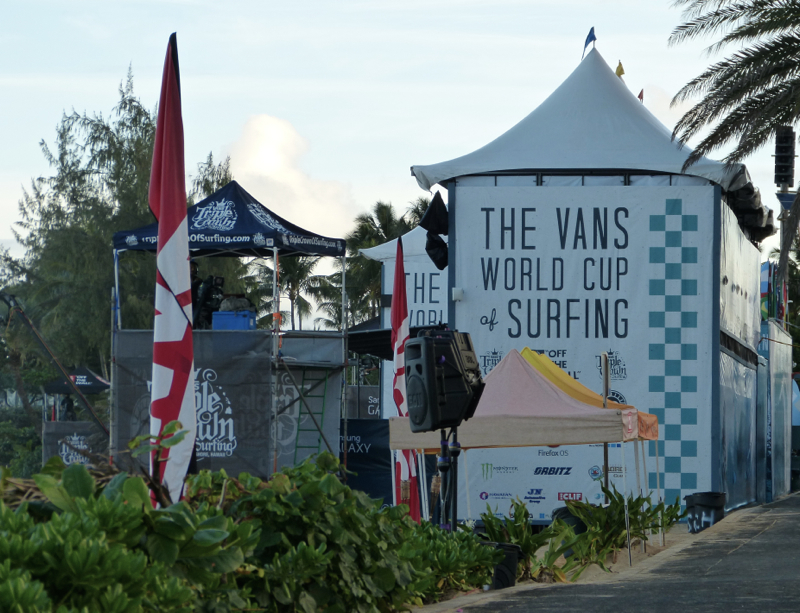 Week two is where the bulk of the Vans World Cup of Surfing 2014 contest shaped with Round 2, 3, and 4..
Just like golf, each surfer has a caddy that’s in the water with a backup surfboard. 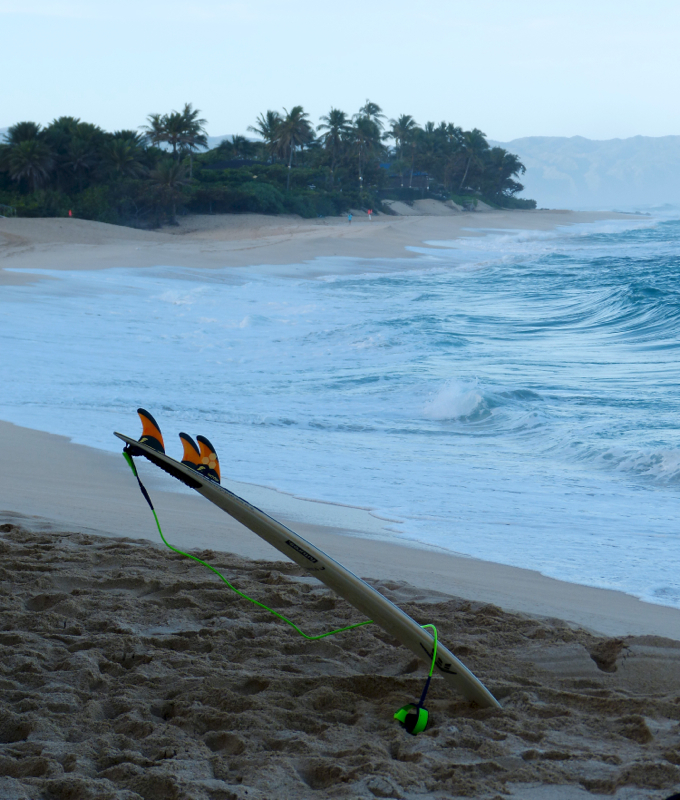 It’s almost guaranteed you will break a board in these waters. 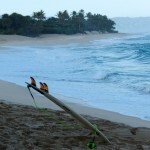 Sunset beach test the strength and stamina of these athletes. 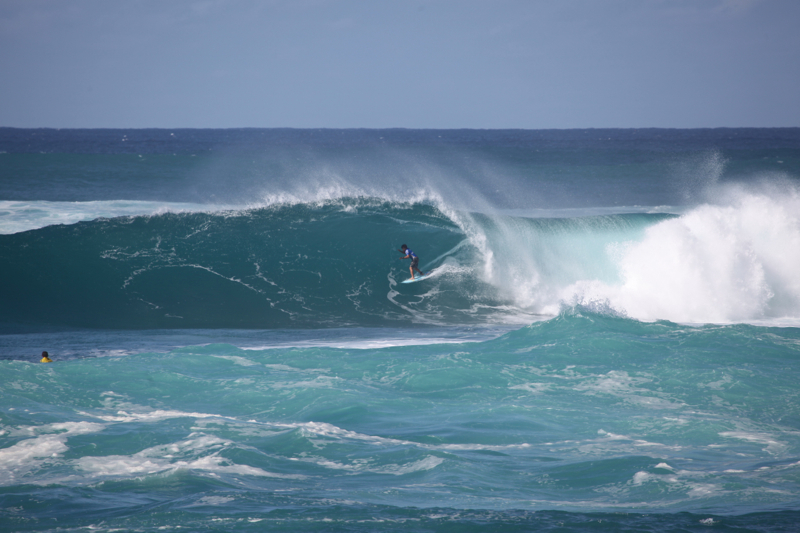 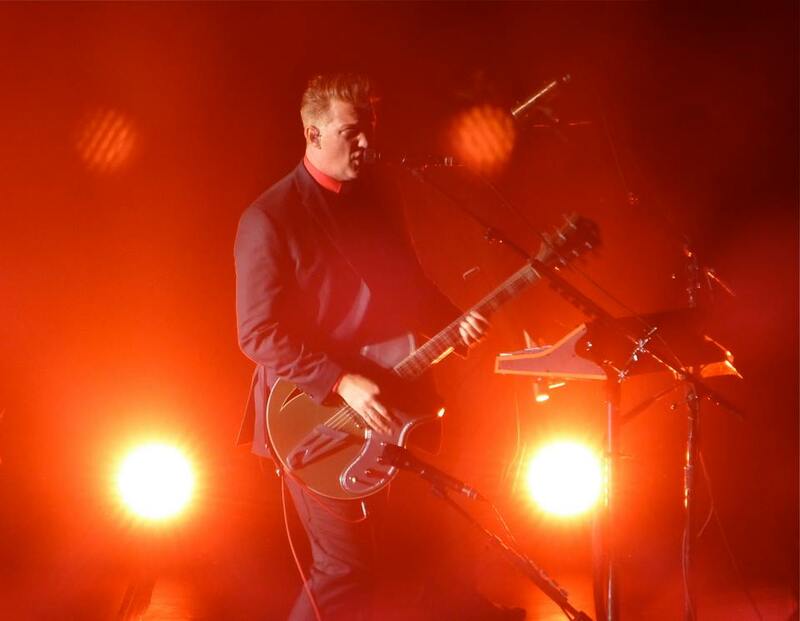 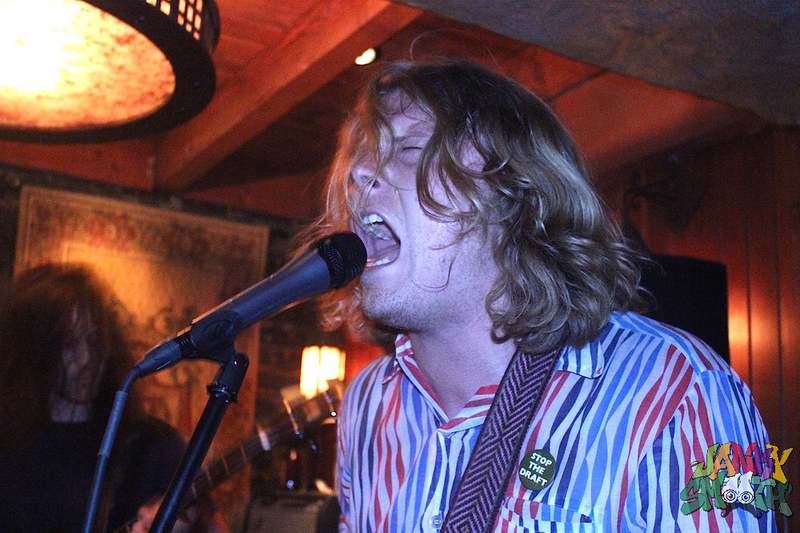 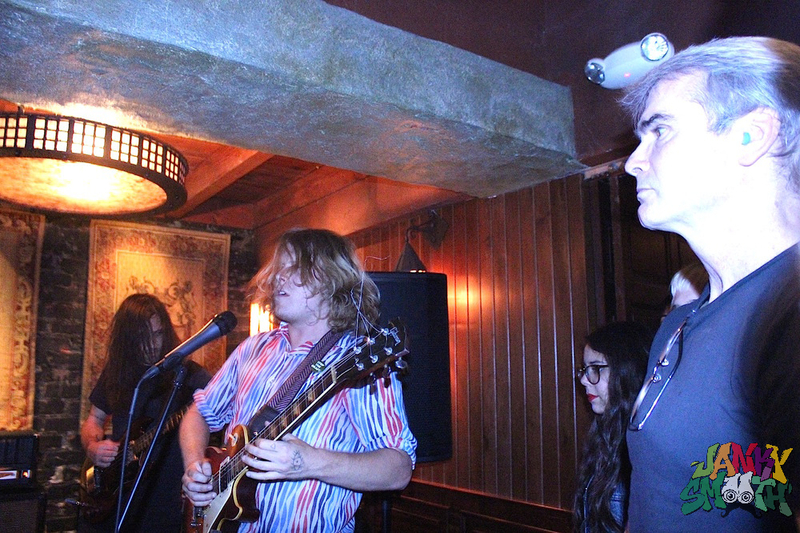 There’s an old North Shore saying: “If in doubt, don’t go out!” and that is absolutely no joke. 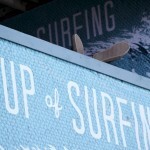 I saw boards break and athletes get barreled under water and barely make it out alive. 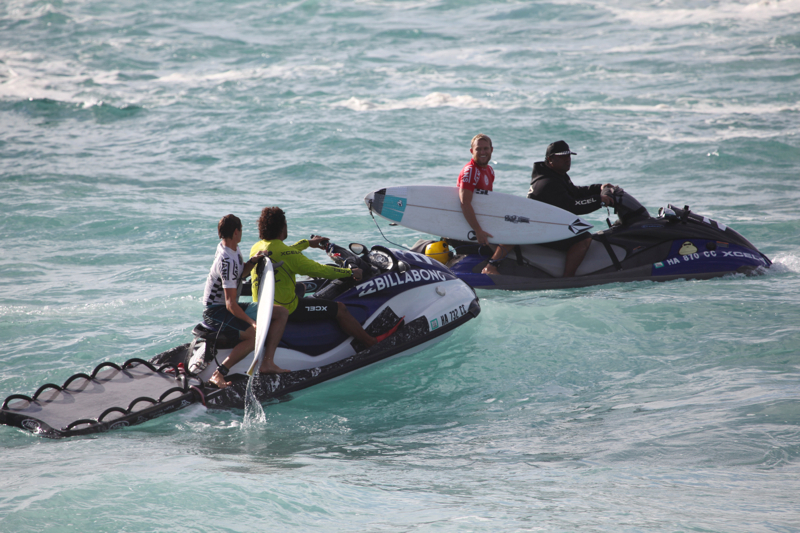 Water Patrol is out with the athletes with jetski’s to ensure safety at all times the best they can. 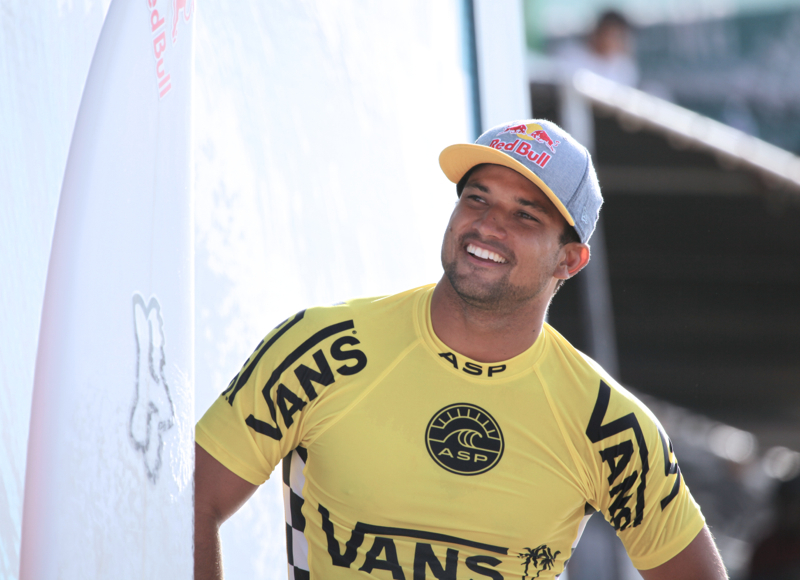 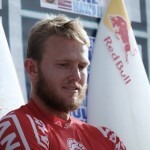 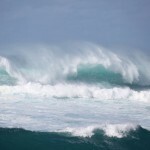 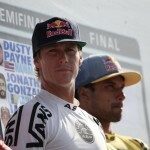 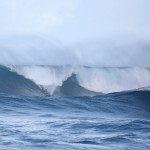 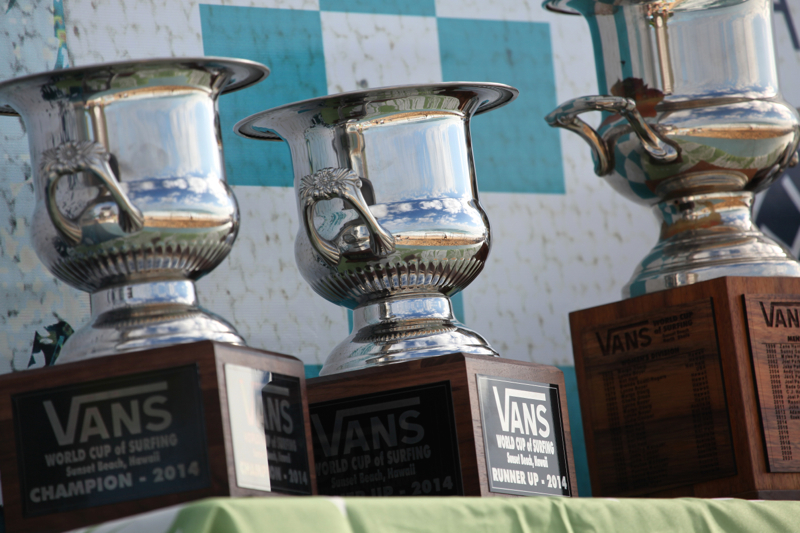 Round 4 of the Vans World Cup of Surfing 2014: With the Quarter Finals, Semi Finals and Finals all in one day the pressure was heavy on the remaining athletes to perform and advance to the Finals. 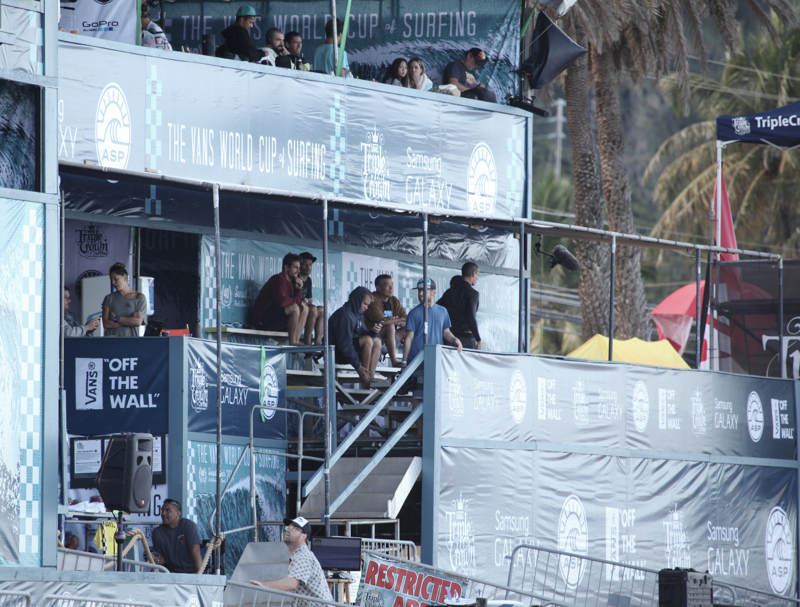 By the time the Semi Finals started, the beach was absolutely filled with family, friends and spectators who love the sport. 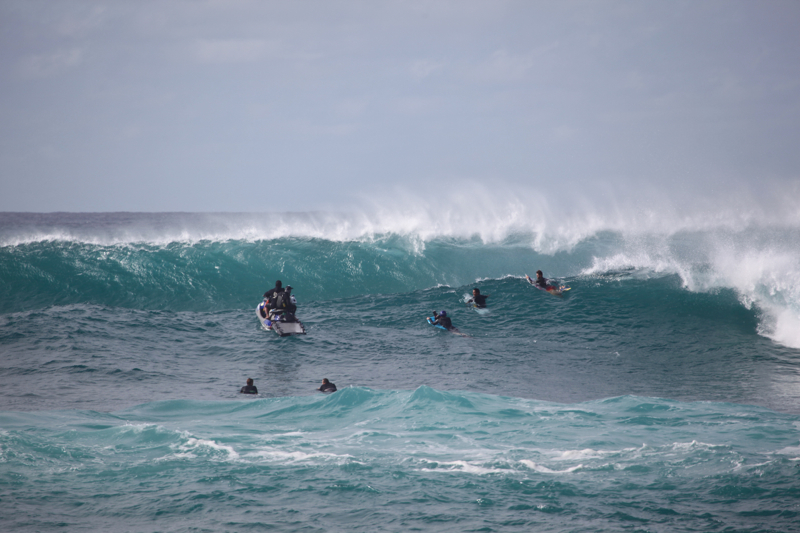 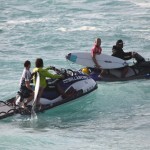 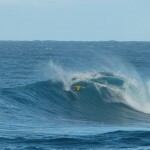 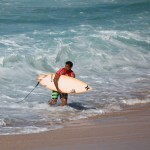 The waves were on fire and the conditions were perfect for the final heats to be completed. 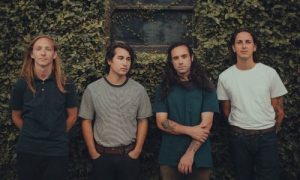 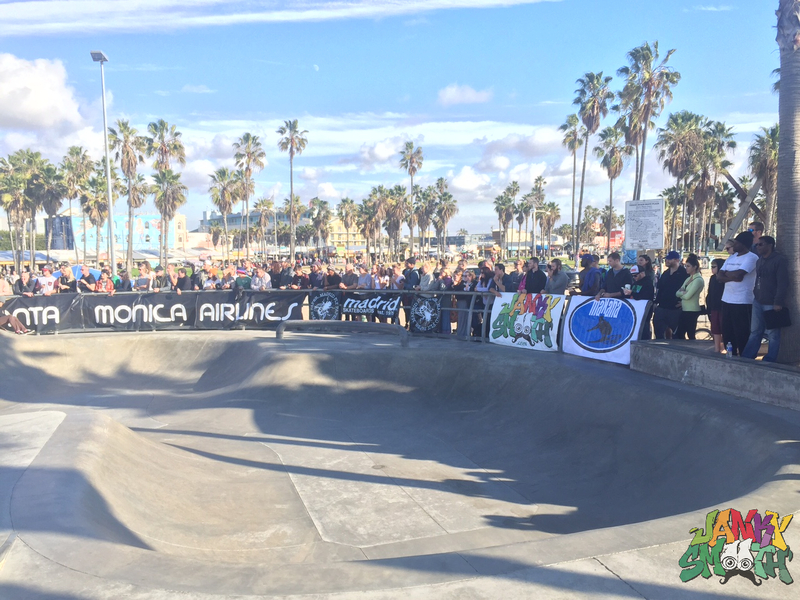 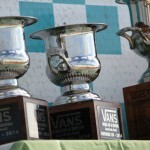 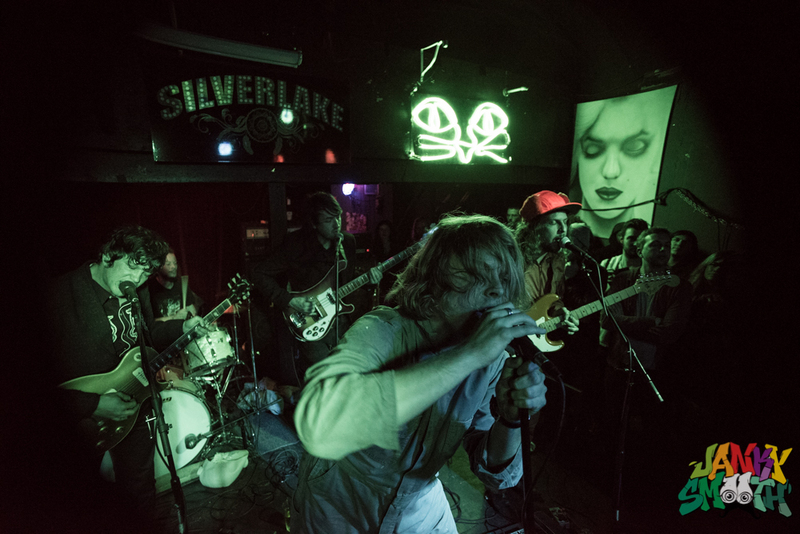 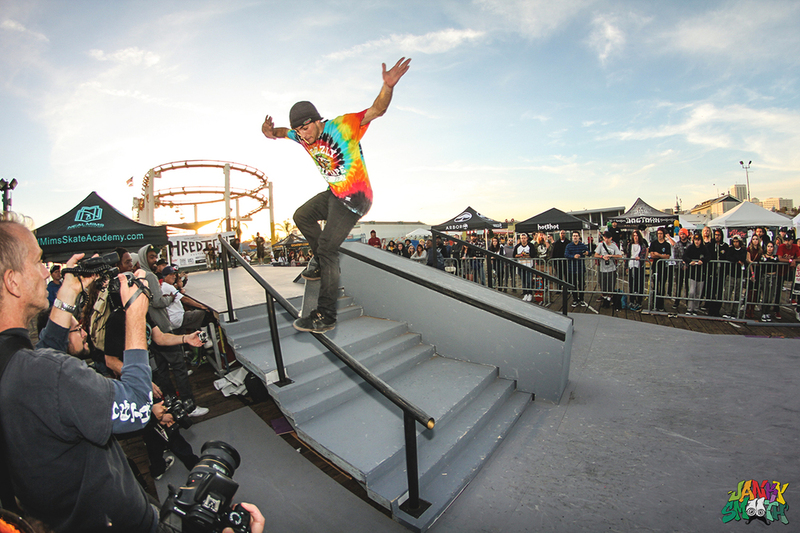 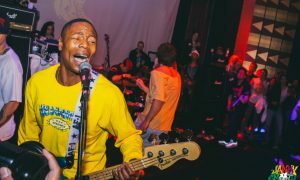 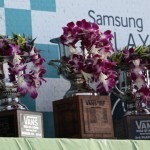 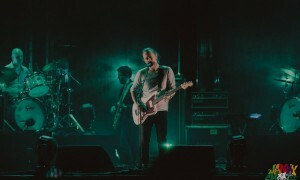 At around 3:00pm, the Finals were ON with four remaining athletes, one to be crowned this years Vans Triple Crown Winner. 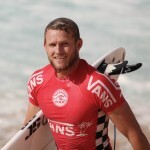 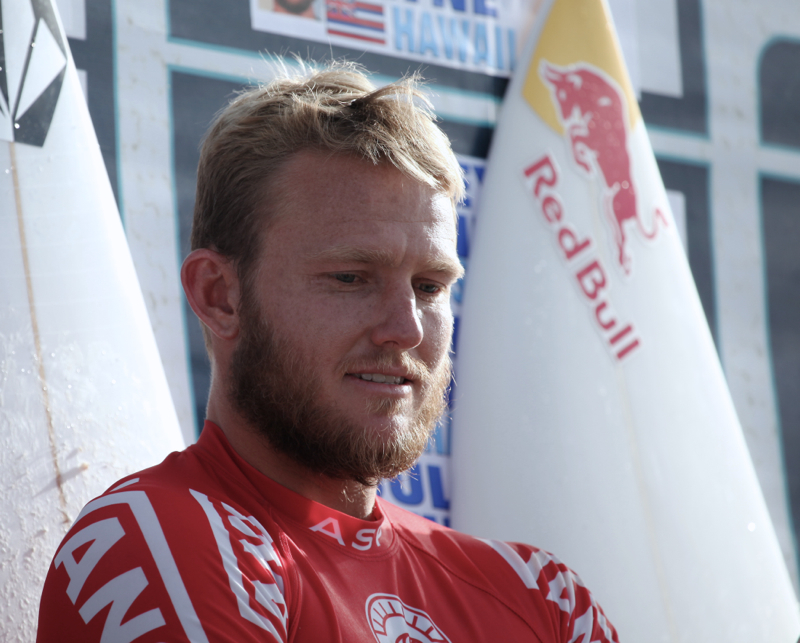 The finals included Michel Bourez, Dusty Payne (Winner of this years Reef Hawaian), Ian Walsh and Sebastian Zietz, all incredible surfers with strength, style and stamina to withhold Sunset Beach. 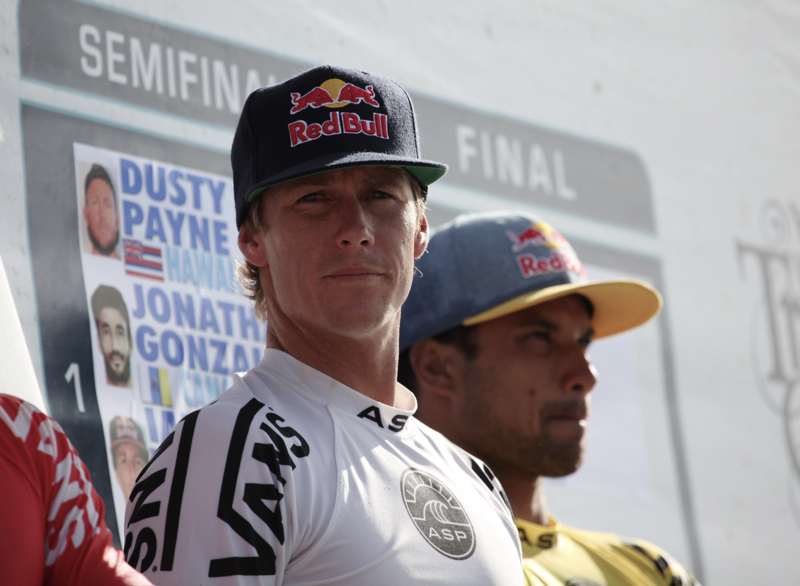 The final heat was slamming and in the end Michel Bourez charged a barrel and stuck it all the way through, landing him in 1st place of the 2014, Vans World Cup of Surfing .